We wanted to take a moment to offer a BIG congratulations to our own Angel Teta! She’s been representing Angel’s Envy throughout Portland for the past two and a half years, and she likes to joke, “When I came in for the interview and told everyone that my name was Angel, I was offered a job immediately.” We’re thrilled that she’s continued to work with us, and her dedication, enthusiasm and industry skills have made her a genuine pleasure to have on our side. 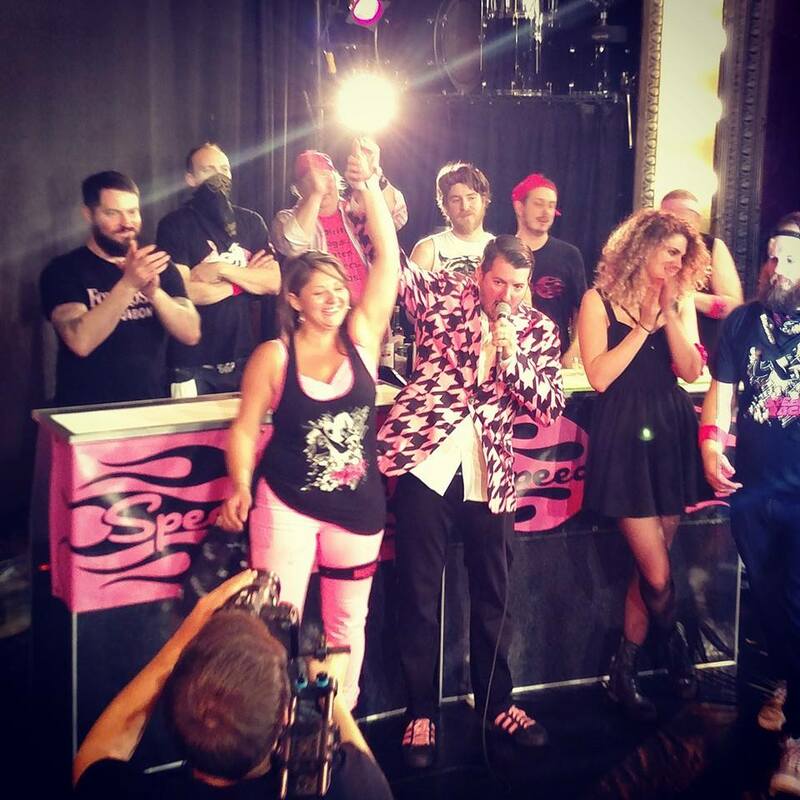 On February 8th, Angel won the Speed Rack Seattle Contest for the second year in a row. As the name implies, Speed Rack is a speed-based competition that was conceived of by women exclusively for women. Competitors go head-to-head as each of the four judges start the round by requesting a classic cocktail. The rivals then rush to mix all four drinks as quickly and flawlessly as they can. In the final round, the judges will often throw in wild card drink requests or ingredients. The competitors are graded on both the speed and the quality of their cocktails, with penalty time being added to their scores for any mistakes made. Whoever ends up with the fastest overall time moves on to the next round. Angel will be heading back to the National Finals in New York to compete on Sunday, June 14th.